Mazak expands its solutions with a new turning centre and NEW CONTROLS. Photo caption: The VARIAXIS i-600 Siemens offers enhanced performance levels with a high-speed 12,000rpm main spindle and exceptional traverse rates of 60/60/56m/mm in the X-,Y- and Z-axes. 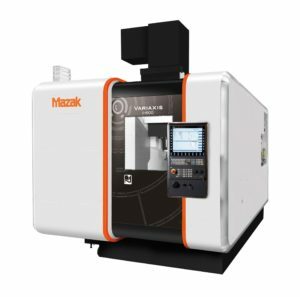 Yamazaki Mazak has expanded its control offering for its popular 5-axis machining centers, the VARIAXIS i-500 and the VARIAXIS i-600, to accommodate customers that have standardised on Siemens controls. The VARIAXIS i-500 with Siemens SINUMERIK 840D sl CNC control is designed for multi-surface machining and delivers reduced in-process time, high accuracy and unrivalled machine ergonomics. With its 12,000rpm 22kW spindle, combined with rapid traverse rates of 56/60/60 m/min in the X-,Y- and Z-axes, the machine offers outstanding productivity. Furthermore, the VARIAXIS i-500 Siemens also features a large work envelope capable of processing components up to 500mmø, with a 4.5 second chip-to-chip tool change. The second machine available with Siemens SINUMERIK 840D sl control is the VARIAXIS i-600. This machine boasts one of the largest machining envelopes available within its class, capable of machining workpieces up to of 700mmø and a maximum height of 450mm. Ideally suited to engineering applications requiring fast set-up and reduced in-process time, enhanced performance levels are guaranteed with a high-speed 12,000rpm main spindle and exceptional traverse rates of 60/60/56m/mm in the X-,Y- and Z-axes. The VARIAXIS i-600 Siemens is also capable of exceptional accuracy, achieved with the use of a full cast structure and gantry configuration, ensuring optimum rigidity with no Y-axis overhang. Roller gear cam technology and linear roller guides are utilised for enhanced positioning accuracy and reduced friction. Cooled ballscrews ensure stable machining accuracy over extended periods of high speed operation. The VARIAXIS i-600 Siemens is also equipped with a number of intelligent functions, including Intelligent Thermal Shield which recognises and adapts to changes in the ambient temperature, automatically compensating to maintain accuracy. The machine also has Active Vibration Control (AVC), for reduced tool-nose vibration and wear, as well as high quality machined surface finishes. The Yamazaki Mazak QUICK TURN 250MY and TA-12. 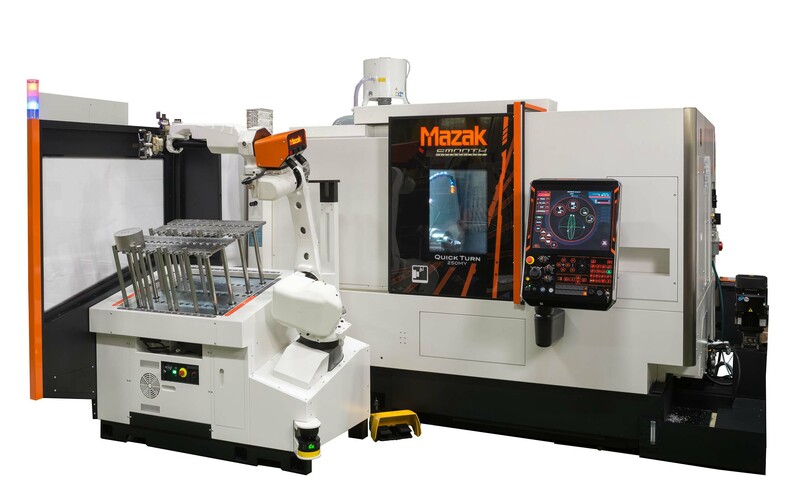 Yamazaki Mazak has unveiled a new ‘plug and play’ turning centre and robotic machine tending solution for the subcontract market, the QUICK TURN 250MY and TA-12. Ideal for applications that require lights-out unmanned running overnight or at weekends, both the machine tool and the robot are controlled from the Mazak SmoothG CNC, which provides a seamless interface and extremely fast set-up. The centre piece of the TA-12 automation solution is a FANUC M-10iA/12 robot, which is one of the fastest handling robots in its class. Ideal for the pick, place and machine tending demands of the TA-12 cell, the robot has a reach of 1420mm and is capable of moving a maximum payload of 12kg. Benefitting from very high axis speeds and acceleration, the slim 6-axis wrist design promotes easy access and straightforward integration into the compact TA-12 work cell, and is equipped with separate grippers for loading and unloading. Internal cable routing through the arm and wrist extends cable life and prevents the risk of cable interference, while sealed bearings and brushless maintenance-free AC motors provide protection and improved reliability for long operational lives and minimum downtime. A peripheral laser scanner is built into the cell to ensure the robotic arm will immediately pause if an operator comes within a set proximity of the cell during operation. The cell also benefits from a unique workpiece stacking principle which utilises interchangeable workpiece support pillars, with layout and set-up guided by a GUI (Graphical User Interface), which is also integrated into the SmoothG CNC. 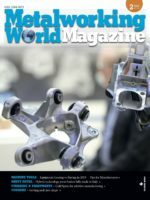 With Industry 4.0 being central to Mazak’s R&D process for the TA-12 solution, the ease of integration between machine tool and robotic automation – all controlled via SMOOTH Technology – is a perfect example of how Mazak can deliver turnkey solutions to shorten lead times and lower indirect labour costs.